Jaded Blossom is turning 1!! And we are having a BIRTHDAY CELEBRATION! 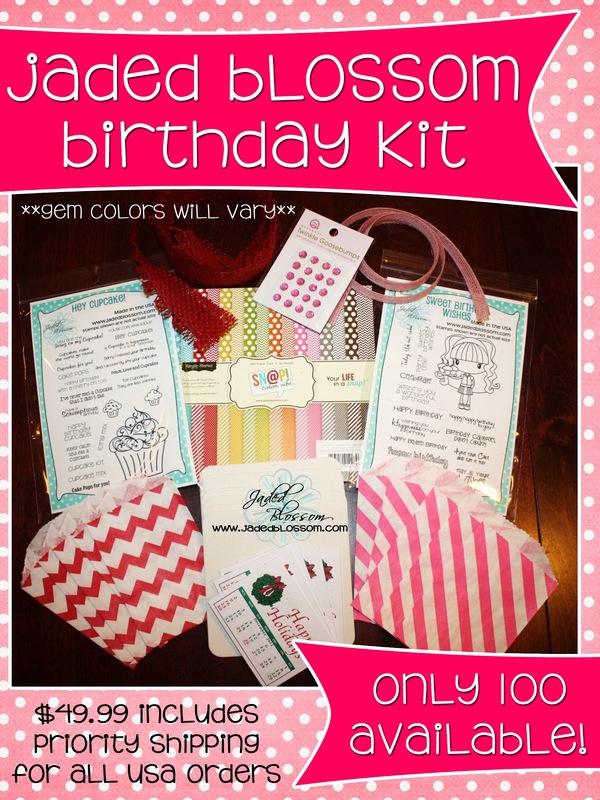 And instead of the typical stamp release.. we have a BIRTHDAY KIT! There are only 100 kits available! Stamps will be sold separately in JANUARY! So if you want these stamps now, you gotta get the kit! And why wouldnt you want the kit? TONS of goodies! Today we are showcasing.. the CALENDARS!! And you know, we LOVE to make a handmade treat to include in your package on release weekend. BUT since its our Birthday Celebration we thought we would make something more than just a treat! 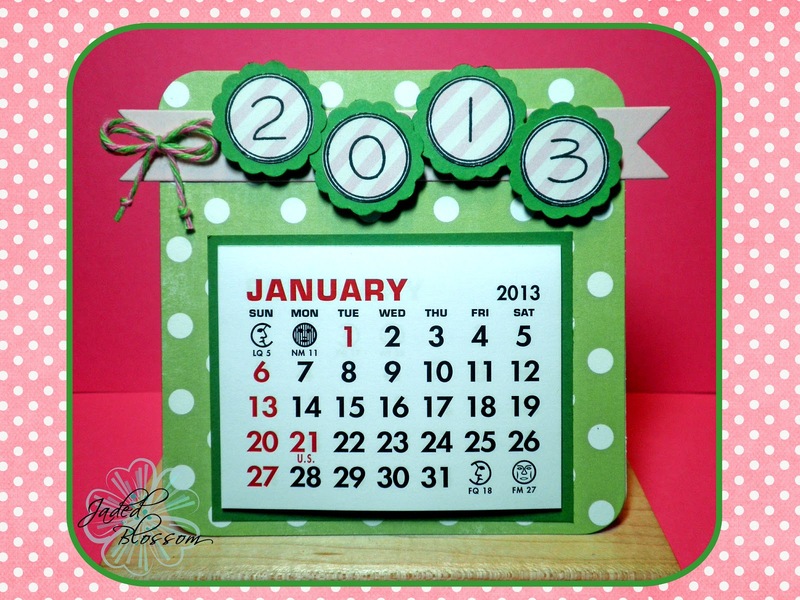 How about a CALENDAR that you can keep up all year long?!?! AND we are inluding a tutorial in your package on how to create this calendar!! Here is the one that is being included in your birthday package! The date was created using the Number Candies. I also used the small flag die from flag dies 2. And the twine is from Trendy Twine! It is Pink Limeade! Thanks so much for checking out my project today! Make sure to head over to Jaded Blossom to see what the rest of the design team has created! This calendar is so pretty! I love the colors! AND I can't believe you are making 100! AWESOME! !